Ports across the Middle East region have seen success by building high-quality infrastructure to serve the large cargo volumes flowing through the region, witnessing compound annual growth rate (CAGR) of container throughput increase 4 per cent from 2011 to 2016, said a new report. Moreover, the throughput growth rates of other types of seaborne cargo have also been impressive. 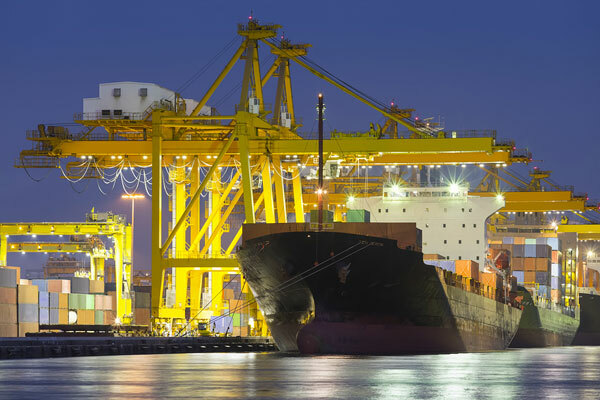 But as is often the case, following a period of strong growth, there are causes for concern, according to a new report by The Boston Consulting Group (BCG), titled “Will Middle Eastern Ports Continue to Succeed?”. Overcapacity, exposure to transhipment, and lagging port productivity threaten to slow or even reverse the upward trajectory of the region’s ports. Hence, ports in the region have to explore alternative routes to mitigate these challenges, it said. “This disproportionate share is the result of both geographic advantages and well-executed investments,” he said. Middle Eastern ports have aggressively added capacity. From 2011 through 2016, container capacity increased by 16 million 20-foot equivalent units (TEU). This represented an annual growth rate of approximately 7 per cent, versus 4 per cent for container throughput. The additional capacity caused utilisation at ports to fall by 9 per centage points, from 75 per cent to 66 per cent. This utilisation rate is generally considered low and puts downward pressure on handling rates, and in some locations overcapacity is severe. Despite already low utilisation, Middle Eastern ports have announced plans to add capacity totalling approximately 57 million TEU by 2030, thereby doubling the current level. By 2022 alone, assuming the recent throughput growth continues, the new capacity will drive down utilisation by more than 8 percentage points, to approximately 57 per cent. Adding to the over utilisation of ports is the risk of transhipment, which accounts for more than half (53 per cent) of the throughput of Middle Eastern ports. At ports in the UAE and Oman, transhipment represents the lion’s share of utilisation. To end their dependence on transhipment hubs, smaller destination ports (which serve as import-export gateways for their own hinterlands) are improving infrastructure, hiring experienced port operators, and encouraging shipping lines to make direct calls. If they succeed in attracting large volumes of direct calls, the current model of serving the entire region with a few transhipment hubs will be threatened. Decreasing transhipment volume would eliminate many of these transfers. If such a shift occurred, the overall utilisation of Middle Eastern ports would be approximately 14 to 20 percentage points lower than in 2016. Empirical evidence suggests that, except for the most successful and established players, productivity is lagging at a number of Middle Eastern ports. This is not unexpected given that many of the newest players are still at an early stage of development. Because these ports have been busy bringing new capacity online, commissioning larger cranes, and installing new operating systems, they have not focused on improving productivity. The region’s relatively low unit costs for labour have made cost optimization less of a priority than in other locations. To support ports in the Middle East and globally, BCG has identified a number of strategic priorities and levers that can help port stakeholders sustain strong performance. • Port shareholders: Port shareholders are owners responsible for investment decisions relating to port facilities and hinterland connections. In the context of deteriorating utilisation, port shareholders should be cautious about investing in additional capacity. Shareholders should work to create additional capacity, by favouring productivity gains over capex. This is best done through enhancing inland connections for improved inland connectivity—including logistics services, transportation, and warehousing—which allows a port to extend its reach beyond the immediate area it serves and increase its participation in end-to-end cargo flows. In addition, port shareholders should invest for and with customers to support importers and exporters, and consider international M&A and expansion. • Port operators: Port operators manage day-to-day terminal operations and are responsible for commercial performance. Port operators should gain an in-depth understanding of the end-to-end cargo flows served by their ports and how they can add value within these flows. To create additional capacity, they should favour productivity gains over capex, with an emphasis on deploying “smart port” technologies. Port operators should seek to increase their share of wallet from the shippers they serve today, and they should target new business while avoiding head-to-head competition on handling rates. By adopting smart technologies, Middle Eastern ports can, at limited cost, demonstrate global leadership to shipping lines. • Public authorities: Public authorities are government entities that pursue economic-development objectives to promote prosperity. By promoting a favourable business environment and industrial development, port authorities create benefits for ports over the long and short terms. Industrialisation projects undertaken by public authorities can significantly improve the business environment for nearby ports. The creation of new urban areas and large industrial developments may provide them with unique opportunities.